Organized by Hart Consulting, in partnership with Corporate Office Solutions (COS), the “Innovate. Lead. 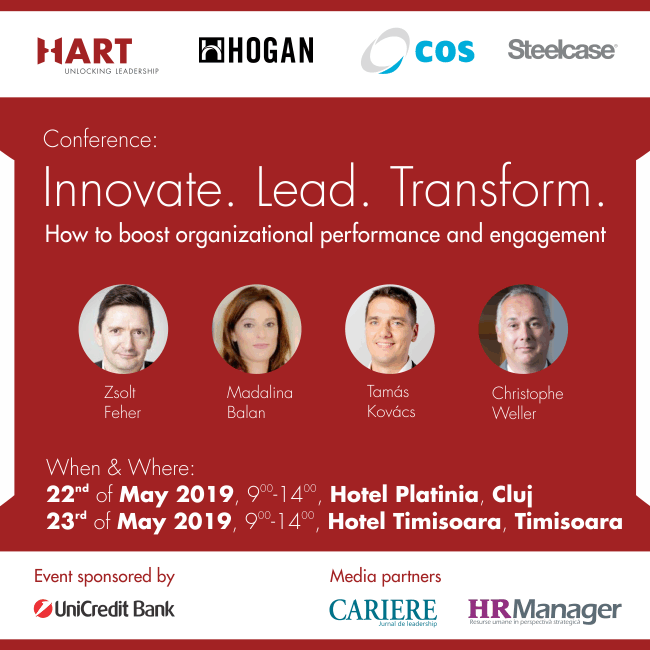 Transform.” conference proposes solutions for increasing organizational performance and employee engagement.